Anglo American subsidiary Anglo American Inyosi Coal has completed the sale of the New Largo thermal coal project and the closed Old New Largo colliery, in South Africa, to New Largo Coal, which is co-owned by Seriti Resources, Coalzar and the Industrial Development Corporation. The cash consideration payable for New Largo is R850-million, or about $65-million. 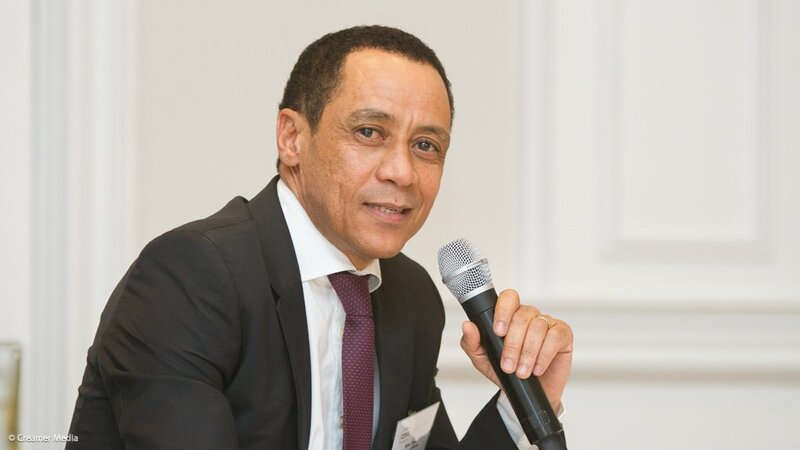 "I am delighted to announce the completion of the sale of New Largo to a majority black-owned and -managed company,” Anglo American South Africa deputy chairperson Norman Mbazima commented on Wednesday. This sale marks the completion of Anglo’s long-standing strategy to exit its Eskom-tied coal assets. Anglo also described it as another milestone in the sustainable transformation of the South African mining industry. Seriti, which is led by well-known mining personality Mike Teke, is 79% black-owned and is set to become power utility Eskom’s largest black controlled coal supplier, delivering about 24-million tonnes of coal a year to its power stations. Seriti was, in April 2017, also selected as the preferred bidder to buy Anglo’s Eskom-tied New Vaal, New Denmark and Kriel collieries, as well as four closed collieries, for R2.3-billion.